Yosta FCD 35 Heating Kit is a typical pen-style e-cig which has a 1000mah built-in battery, same as the Yosta FCD Mini Kit. If you are new to the Heating Kit, then the Yosta FCD 35 will be your best choice as it has the spring-load fire button for simple operation. Yosta FCD 35 Heating Kit is a typical pen-style e-cig which has a 1000mah built-in battery, same as the Yosta FCD Mini Kit. It only requires about 90 minutes to charge but can heat for up to 3 minutes/time. It can take about 20pcs tobacco sticks if fully charged. You can clean it easly as it has the detachable structure. If you are new to the Heating Kit, then the Yosta FCD 35 will be your best choice as it has the spring-load fire button for simple operation. • Perfectly compatible with IQOS tobacco sticks such as Marlboro, Parliament, Heets, etc. • It doesn't come with the tobacco stick, so you need buy it separately. 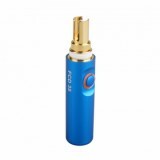 Yosta FCD 35 Heating Kit is a pen-style heat-no-burn device with 1000mAh inbuilt battery. Yosta FCD 35 can take about 20 pieces of tobacco sticks when fully charged. 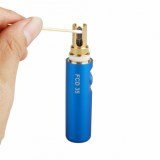 Yosta FCD 35 Heating Kit is a high quality pen-style heat-no-burn device. When fully charging, the Yosta FCD 35 can take about 20 pieces of tobacco sticks. Yosta FCD 35 Heating Kit is a high quality pen-style heat-no-burn device with 1000mAh inbuilt battery. When fully charging, the Yosta FCD 35 can take about 20 pieces of tobacco sticks. yosta kit is very nice, its performance is amazing, am thinking of getting another one of for my girfriend, it serves me well with a very strong battery and its of good quality too. WISMEC Column Subohm Tank is an innovative subohm tank with 25mm diameter and 6.5ml/2ml e-juice capacity. Yosta FCD 35 Heating Kit with a 1000mAh capacity in-built battery. It is a high quality pen-style heat-no-burn device with 1000mAh inbuilt battery. When fully charging, the Yosta FCD 35 can take about 20 pieces of tobacco sticks. I bought the heating kit for my father.